All Trexperience Peru tours, river cruises, expedition cruises, and adventure trips. Find the best guided trips and expert planned vacation and holiday packages. 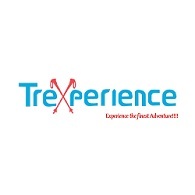 Average rating of 0.0 for all Trexperience Peru trips. Learn the Peruvian history, nature and interact with our porters, direct descendant of the Incas. Visit Ollantaytambo, the last living Inca city.